The 1403 Vintage Mono Pro typeface was inspired by the IBM 1403 mainframe line printer. This all uppercase, monospaced font was recently expanded to include additional scripts beyond a nearly full complement of Latin. 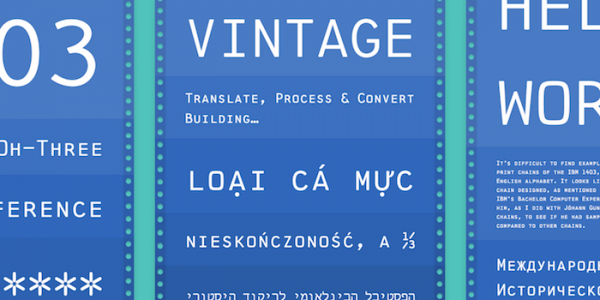 It now supports Cyrillic, Greek, Hebrew, and Vietnamese! The 1403 Vintage Mono Limited typeface is a subset of the Pro version. It includes a basic complement of the Latin script. Sample treble clef symbols from different styles of music notation typeface designs, in progress. 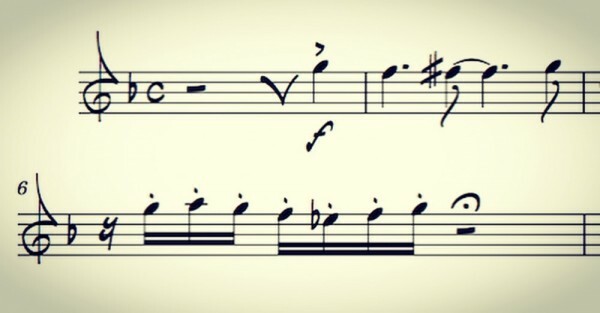 Releases planned in 2019 for use in Dorico, Finale, Sibelius, and other music scoring software. And, in time, a simple surprise, coming soon.